The winter season is the time of year for assessing outdoor spaces and drawing up plans. Whether you are an individual homeowner with a small garden or driveway, a property developer with multiple plots and roads, or a local authority responsible for creating and maintaining public gardens. The decorative landscape goes much deeper than the superficial. The materials chosen for the coloured hard landscaping elements of a space are fundamental to the success of a project. For paths, walkways, play areas and communal spaces, choosing the right surfacing at the planning stage is the basis on which to build the soft landscaping. While it is still cold and dark, take a moment to look at the array of options which Natratex can deliver. The decorative landscape is the foundation on which an outdoor space is built. These are the permanent constructions which influence elementary factors like the direction of travel, zoning, focal points, and drainage. Durability is key to tolerating high footfall, cyclists or vehicles. Creating a clear route channels people, bicycles or automobiles on a definitive course preventing unwanted diversions and surface corrosion. The level of permeability of the decorative landscaping will control the rate in which rain and surface water drains away. This can be important when considering the topography and location of a plot to reduce the risk of flooding. Considering the environment in the hardscaping can stop soil erosion and reduce future maintenance costs. 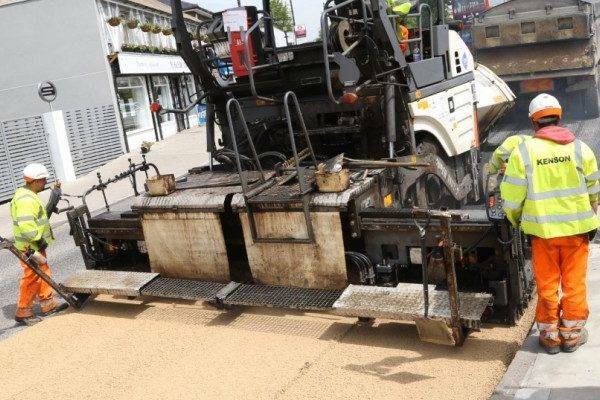 NatraTex surfacing products are the ideal alternative to resin bound aggregates. Having been used in numerous projects from retail, residential, recreational and regenerative scenarios. It will tick all the boxes for technical excellence. Combined with its proven record as a hard landscaping material, it is also available in a broad spectrum of tones and colours to satisfy the aesthetics of any project. To discuss how the NatraTex decorative landscape materials can benefit your project, please contact us today.